Over the weekend, I played with the Wildstar open beta. First off, I enjoyed the game. I played both a Dominion Cassian male and Exile Aurin girl up to about level 4 and 5. Combat is fun and lends itself to some nice combinations of fights and moves. Focused combat system, as I said lends itself nicely to aoe fighting. I would run into an area, aggro multiple adds, then make sure they were all in front of me before releasing my large attacks. Profession specific quests are everywhere. My human was a spellslinger (aka buff-caster + gunslinger) with the Explorer profession. Randomly small profession quests would pop up prompting me to 'place this transponder' or fix this piece of tech way up high. "Jump Quests", I saw someone refer to them as. Easy enough to do, not easy to find the start point. My Exile was a Esper (dps caster) and a soldier profession. Her profession quests were assassinate this bad guy, or defend this base for __ minutes. Random (world) events and challenges- While running through one zone, I jumped up and hit an "environmental" butterfly. I was then immediately given a 'challenge' to capture 5 more butterflies. Little side challenges popped up like this a couple times in my 4 hours. It added a flavor to the game. UI - The UI was very clean, and minimalistic. This let the focus stick to the game play. When there was loot, a button would popup on the screen and clicking it would vaccuum all the loots from my aoe fest. Quests were easy to track and if you click on the quests, a huge "go that way" arrow would popup with distance to the objective. 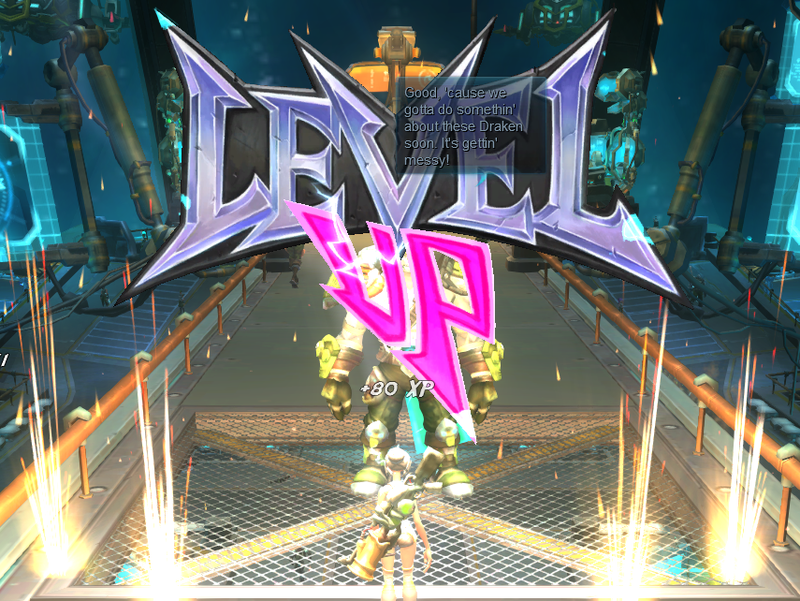 Another UI perk was the level perks button. 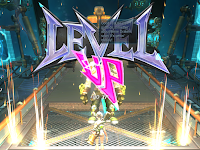 After you leveled, a small button appears on the top of your screen, allowing you to review everything that you gained with the level-up. (which is also very cool). Shared and Phased starting areas - With the gathering quests or the do this at this spot quests, it was nicely phased. I didn't need to compete with the other players. With the kill quests, I could share the dps with others. It looked like I even got individual drops for killing, which was nice. UI - Mappings to commonly used keys didn't seem to exist. Now I didn't research this at all (it WAS midnight last night), but when hitting "C" for character, or "I" for Inventory, didn't work. I was forced to click on little buttons on the bottom bar in order to equip gear or check my bags. Minor inconvenience, but with all the key mappings automatically popping in my face (V to vacuum loot, C for communicator). Maybe it's B for bags and H for Hero?? Additionally, the mini-map on the screen was a tad bit confusing; especially in the intro area. It shows an arrow of your future game-play flow, not your quest objective. On both toons, I followed the mini-map arrow, not realizing I'd passed my quest objective about 30 seconds ago. Click quest, run back 500 meters. Intro experience - For both Dominion and Exiles the intro area (excluding cut scene) was almost identical. Ok, Dominion has a training segment in holodecks, where my Exile was already on planet by then. If you play Dominion first (as I did), you'll do the similar objectives as an Exile. Once on planet, the play was different (but again I chose the Explorer optional drop point, instead of the standard). Character model not actually reflect customizations. I can specifically point to the small pinpoint eyes I had put on my toon, then he has big bright eyes once it loads. Yes, this is a beta, so maybe just a bug to be fixed for the final release; less than a month away... Speaking of character builder, the current UI is confusing. My overall impression is that while it's like WoW gameplay, is different enough to enjoy on it's own. 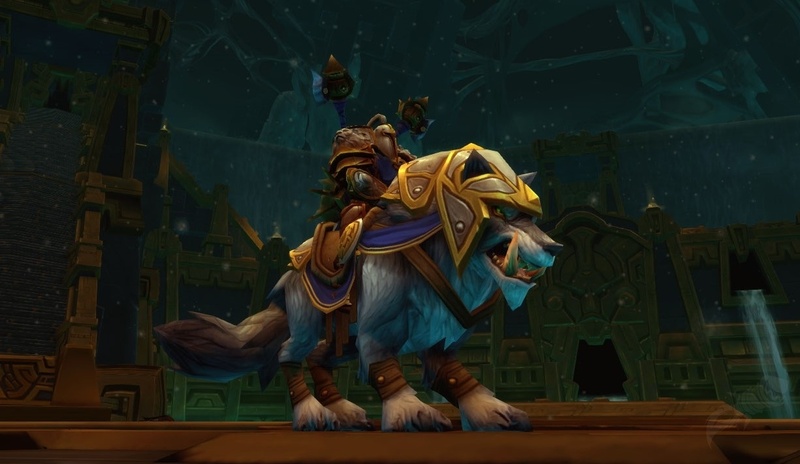 It combines a number of the changes that we see now (aoe looting) and some coming with the next expansion (player housing). I'll probably try 2 more toons out to see what the variance is with the different professions and see if the starting area quests change at all. Now if I could only figure out how to grab in-game screenshots or where they drop.. Question that still remains. Can Exiled Humans talk in game to Dominion Humans?